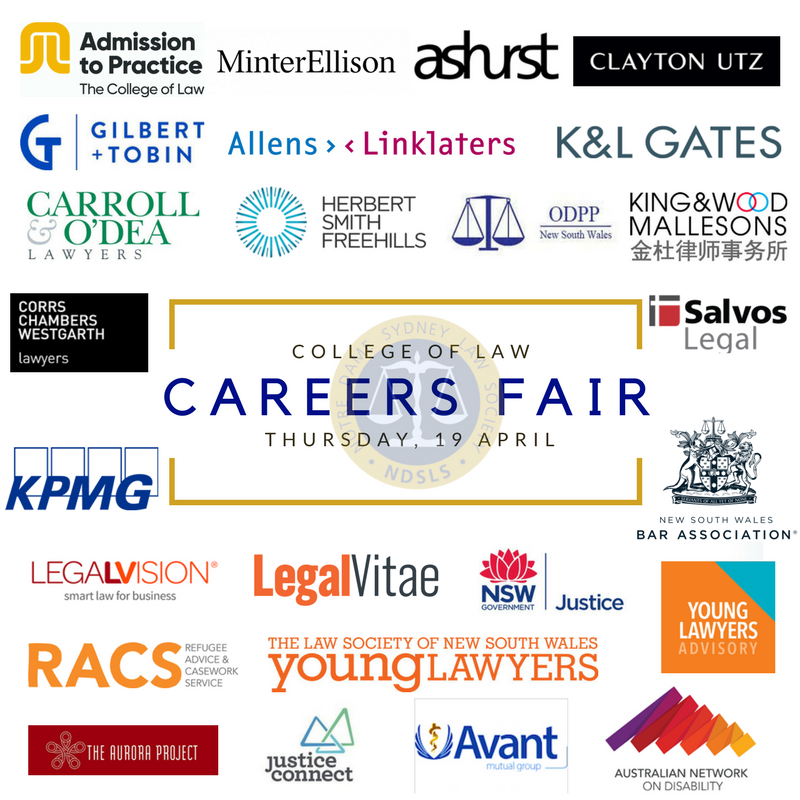 The Notre Dame Sydney Law Society in collaboration with the College of Law is delighted to once again host the College of Law Careers Fair. The Careers Fair provides a unique opportunity to gain some networking time with industry leading organisations and to ask all those questions that have been building up for the duration of your degree. The Careers Fair is highly recommended for ALL law students in any stage of their degree. Get a head start on your professional life and begin developing key relationships with potential employers.